Formerly Seven Acre & Sidcup FC, the history of the club goes back all the way to the 1900 founding of the Royal Arsenal. Many years and many venue changes later, Sporting Club Thamesmead FC is now a proud member of both the Kent and London FA's, the Southern Counties East Football League, SELKENT, and are an FA Charter Standard awarded club. 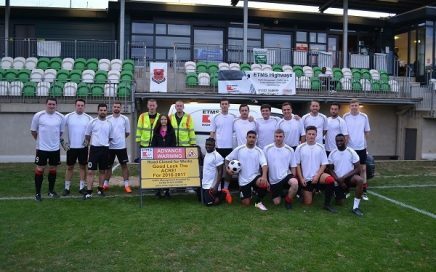 "The club would like to thank Martin and his team at ETMS Highways for sponsoring Sporting Club Thamesmead for the 2016-17 season. As a growing community club with teams from under 8's to our vets team, money is very, very tight. 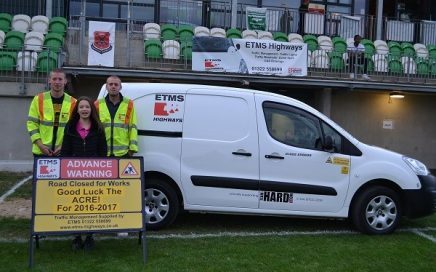 For a great company like ETMS Highways to believe in us and help us out financially will have a huge impact on the club and its future. Many thanks Martin and here's to a long future together."